Rarely was free space more valuable than nowadays. 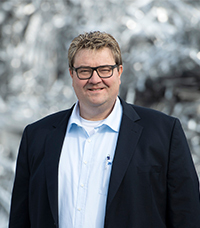 In order to create more space, the well-trained and professional team at Eberhard Mayr GmbH & Co KG will dismantle and disassemble your old machines, production lines, storage halls or industrial plants. The complete demolition of commercial and private buildings, partial demolition of dwellings and small halls, dismantling of large halls and multi-storey buildings, dismantling of buildings down to their shell, gutting of buildings or special demolitions do not pose a problem for our qualified personnel equipped with modern and functional technology. Our own fleet of vehicles allows us not only to provide containers, but also to quickly and timely remove your waste, recyclables and scrap metal. In addition, noise and dust are reduced to a minimum by our competent and flexible project planning. It does not matter whether it is dismantling commercial or private projects – our work is always based on the customer’s requirements. Do you have any questions? We would be happy to advise you, and would be delighted to provide you with a demolition concept.